Fiesta Del Mar opened its doors in 1991 and was quickly recognized for its unique and delicious Camarones (shrimp) dishes. Fiesta Del Mar has been honored by the readers of The Mountain View Voice with the "Best Seafood" Award for 12 consecutive years. Jorge Cervantes has been a part of the restaurant since its inception and has added his warmth and personality as a signature of the restaurant. Jorge and Gilberto Figueroa provide the outstanding management, festive atmosphere, and "make guests feel like family" (SJ Mercury News, 3 1/2stars). The fiesta continued in 1995 with the opening of Fiesta Del Mar Too in downtown Mountain View. Here we offer the same great menu plus more delicious choices... for example, marinated rotisserie chicken and grilled salmon on weekends. Customers vie for a seat at our bar so they can enjoy extended conversations with managers, Gabriel and Carlos, and the rest of our Fiesta Del Mar Too "family". Both locations carry 200 Tequilas and are known for their unsurpassed margaritas. 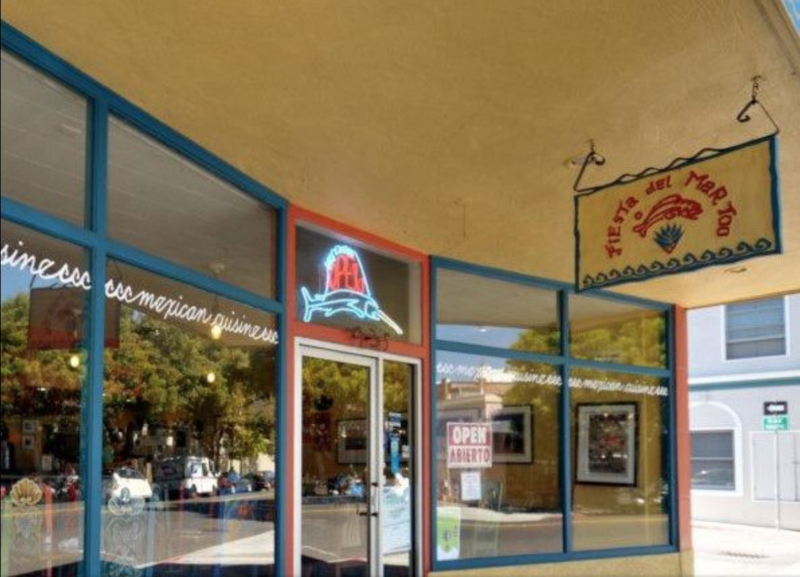 Everyone at Fiesta Del Mar and Fiesta Del Mar Too is committed to serving the finest Mexican cuisine in a manner that will exceed your expectations. We are also committed to helping our customers and the community better understand and appreciate Mexican culture through our authentic style of cooking and by providing our fun and interesting tequila pairing dinners (ask our managers about these). We thank you for your patronage and look forward to continuing to serve you.